We’ve all experienced the warmth of direct sunlight on our skin and enjoyed the coolness of the shade on a hot summer day. The same phenomenon is true inside of our house. If you have a window with no coverings on it and direct sunlight is shining through it, that room is going to heat up quickly. The best way to control this, of course, is to close the drapes or blinds when direct sunlight is entering a room through the window. This drastically reduces the amount of direct light coming into a room, reducing the heating effect and saving you on cooling costs during the summer. The problem is that not all window coverings are up to the task. Most window coverings let at least some sunlight into the room. The more sunlight you allow into the room in the summer, the more energy (and money) you’re going to have to spend to cool your home. What can you do to minimize the excess heat entering your home in the form of sunlight? First, close the curtains or blinds whenever there is direct sunlight on the window. If the sun is streaming through on a hot summer day, cover up the window. This is particularly true when you’re at work and you don’t care at all about incidental light into your room. Close all of the window coverings before you leave for work, then open them as desired in the evenings. While you’re at home, use some balance. Yes, closing your window coverings reduces the incidental light in a room, but not closing them can add some wonderful incidental light to a room. 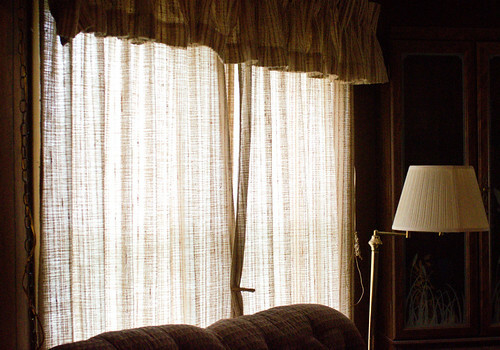 Leave a window covering open in the room you’re in if you prefer the incidental light. In largely unused rooms, leave the coverings closed all the time. The other big step you can take is to purchase window coverings that block most of the sunlight. Look for ones that minimize the light going through them. Of course, this doesn’t mean you should immediately go out and buy new window coverings. What it does mean is that when you do replace them, seek coverings that block most sunlight. Remember, the goal here isn’t to make your home look dreary. The goal is to minimize your summer cooling costs. Taking a few simple steps like closing your window coverings when a room isn’t in use and choosing thicker window coverings when it’s time to replace them can go a long way toward reducing your energy costs.